We’re now looking at pivotal positions in the team – stand-off and scrum half. We’ve combined this selection as the majority of players are able to picked in either of the two half back positions. New Warrington star Tyrone Roberts (£225k) is available as a scrum half only and has made a pledge to score as many tries as possible. Salford’s Gareth O’Brien (£175k) is also an option at scrum half, as well as full back. 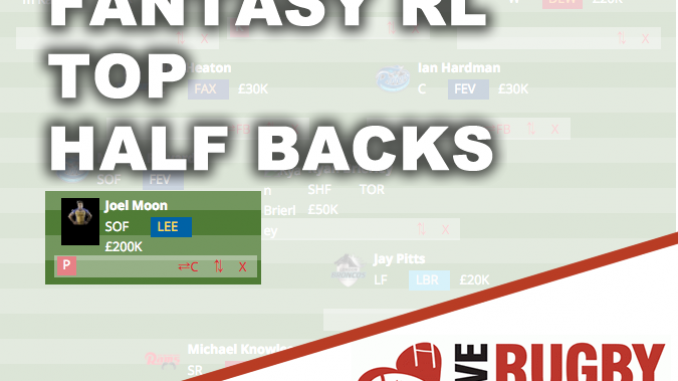 One of the top players in the Championship this season is likely to be Martin Ridyard of Featherstone, and he comes in at the top price of £70k. Another former Super League player, Jarrod Sammut of London Broncos, also comes in at that top price, with Sammut expected to take on greater responsibility at the Broncos following the departure of William Barthau. At scrum half, Toronto’s Ryan Brierley (£50k) is a try-scoring option. It’s unlikely you’ll want to gamble on a back-up half option, but Lucas Albert (£50k) might be worth looking at while Danny Richardson (£75k) will continue to push for a place at St Helens. In the Championship, Toulouse’s Anthony Marion registered 80 points last season and is available at a reasonable £15k, if you opt to spend your kicking tokens elsewhere.